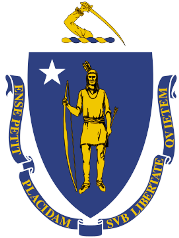 The Massachusetts seal identifies government buildings and officials and is a centerpiece for the Massachusetts flag. Interesting facts on the Massachusetts State Seal for Kids. Above the shield is the state military crest that depicts a bent arm holding a broadsword. The sword has its blade up reflecting s the feelings of the patriots of Massachusetts leading up to and during the fierce conflict of the War of Independence (1775–1783). The shield depicts an Algonquin Native American with a long bow in one hand an arrow in the other. 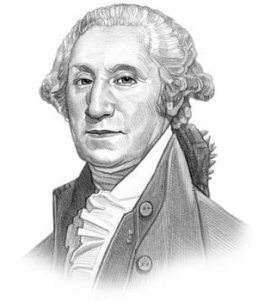 The Native American Indians who lived in Massachusetts and who spoke the Algonquian language included the Wampanoag, Massachusett, Nipmuck, Pennacook, Passamaquoddy, and Quinnipiac tribes. The Native American holds a long bow. Different types and sizes of bows and arrows were designed for hunting and for fighting. Long bows were commonly used for hunting purposes. The fighting bows for horseback riders were smaller than those used on foot to allow for maximum manoeuvrability. The white five-pointed star displayed is a symbol of the unity of all things and the essence of the life force. The star also symbolizes the state's admission as the 6th US State. 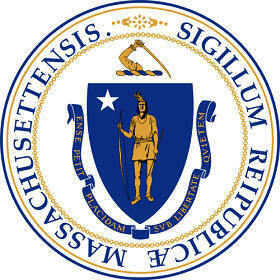 The Massachusetts seal is kept and used as required by the Constitution and laws of the state.